I attended the Friends of Ravenscourt Park AGM this evening. Concern was expressed about the state of the lavatories – both the ones by the paddling pool and the ones by the cafe. Please advise what the current opening hours are and whether these could be extended. Please detail the current arrangements for cleaning and what checks are put in place to ensure a high standard is maintained. Also please advise what is being done to ensure they are generally good condition. I must stress that the feeling of the meeting was that they are in a disgusting state. Furthermore the minutes for the meeting a year earlier showed that the same concerns had been made – yet no progress has been made. This is particularly disappointing given the substantial unallocated Section 106 money for property developments near the Park. Thank you for your email regarding the public toilets in Ravenscourt Park. The toilets by the cafe are open all year in-line with park opening/closing times. The toilets by the paddling pool are open while the paddling pool is in operation from 8am until 4pm – the remainder of the year they are closed. Cleaning is carried out by Quadron as part of the grounds maintenance contract. Inspections are made by officers on a random basis. While every effort is made to keep them in a good condition we have to accept that the toilets are now ageing and this does impact on our ability to keep them clean; likewise we cannot mitigate for misuse and vandalism – it is amazing what some people think can be flushed down toilets. I am aware of the Friends views of the toilets; this is a topic for discussion on our regular walkabouts. I note your comments on unallocated S106 funding but the final allocation is approved by the Cabinet. To this end we have a number of bids in for S106 funding in our parks across the borough. We have also submitted a bid for money from the Planned Maintenance budget. The latter also includes looking at the sewage outlets. I am hopeful one of our bids will be successful. When we have any news we will update you and the Friends. The checks by officers on a “random basis” seem to be completely failing to resolve the problem. Please provide details of how often the checks take place and what has been reported. The lavatories are frequently filthy state as I presume would have been discovered by these checks. Please provide details about the requirements on Quadrant to maintain minimum standards and what penalties are in place for their failure to meet those requirements. Please accept my apologies for the delay in responding. The checks by officers happen approximately every 2 weeks but this can vary. The vast majority of reports have been in relation to block toilets and urinals, and vandalism (damaged locks, etc.). Quadron are scheduled to clean the toilets daily, in reality they are done more than once a day. However we cannot mitigate for misuse, vandalism and theft – this is a major problem and only needs one person to misuse the facility, which then creates an issue for everyone else. In terms of penalties for non-compliance; the penalty clause element of the contract was removed as part of a £220k saving negotiated in 2011. Please be assured that refurbishing these facilities is a priority for us as it take up significant time dealing with issues and complaints, time that could be used to better effect. Let’s us hope that since this a “priority” there will some improvement in the coming months – and we won’t have the same complaints repeated at the next Friends of Ravenscourt Park AGM for the third year running. In July I wrote about the Thames Water proposal to spend £300 million on a Counters Creek Relief Sewer. This is a response to the downpour in 2007 which caused 1,700 basements in Hammersmith and Fulham and Kensington and Chelsea to flood. Subsequently I have had a meeting with Professor David Balmforth who sits on the Independent Advisory Group which has been set up in relation to the proposed Counters Creek sewer flooding alleviation scheme. “1. Please advise what the current estimate is of the number of basements that would be flooded in the Counters Creek area if this was to be an exceptional downpour. (David suggests that the modelling may be for a “once in 30 year event” rather than the equivalent of 2007.) I presume there would be fewer basements flooded than in 2007 due to FLIPS. But what is the estimate? There are approximately 40,000 properties across the London Borough of Hammersmith & Fulham and Royal Borough of Kensington & Chelsea that have basements and so are at risk of flooding to varying degrees. We have records of over 1,700 properties that have reported sewer flooding to us and where modelling shows they are at of flooding from an event with a 1 in 30 year return period. However, we think at an additional 6,500 properties are at risk of flooding from a 1 in 30 year event, so the total estimate is in the order of 8,200 properties. Customers are often reluctant to report sewer flooding to us due to concerns about property blight and obtaining home insurance. If we had a major storm today (such as the one in 2007), we would expect to see around 800 fewer properties flooding because of anti-flood devices (FLIPs) that we have installed over the last 5 years. 2. I appreciate there may not be a model for flood alleviation with spending on £300 million on SUDS rather than the relief sewer. But David thought some indication might be available from modelling of different levels of SUDS spending. For example what the difference would be in reducing the risk of flooding if there was £20 million spent of SUDS rather than £10 million, etc. This might give a very rough idea on what impact SUDS would have. We have looked at the potential for SuDS as a solution across the entire catchment (and are currently working with the GLA on a London wide exercise). We also broke the catchment up into 5 hydraulic regions and tested SuDS as an option for each region as an overall strategic solution was developed. The topography of the Counters Creek catchment and interconnectivity of the sewerage network is such that any space created in the sewers through managing surface water through SuDS installed locally is quickly taken up by stormwater coming into the area from elsewhere. We were unable to lower the levels in the sewerage network sufficiently enough using local SuDS to protect the numerous deep basements. Showing a trade-off between the cost of SuDS and sewer improvements at a programme level to achieve a 1 in 30 year level of protection is therefore very difficult. The role of SuDS in our view is therefore is to future proof the improvements that we plan to make in the Counters Creek catchment and offset the impact of population growth, climate change and urban creep. This is why we have started a pilot project along 3 streets in order to understand costs and benefits. So even without this new sewer in the unfortunate event that we had downpour on the 2007 scale at some point over the next 30 years there would be an estimated 900 basements flooded rather than 1,700. Even if we assume that the relief sewer would reduce that to nil the cost is staggeringly high. It comes to £330,000 per basement that would otherwise be flooded. What of the alternative? Of spending the £300 million on SUDS? 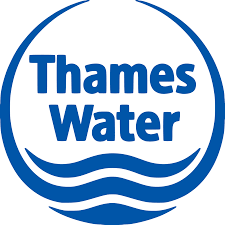 That might not reduce reduce the flooding to nil – Thames Water say it is “very difficult” to offer a figure. It would obviously have a significant impact. We also need to consider the wider environmental benefits of SUDS reducing the amount of our borough covered by concrete and instead making it greener. Finally we need to consider the environment damage if the relief sewer proceeds – the noise and pollution of the drilling, the loss of trees. As already stated the relief sewer proposal can only proceed if the Council allows it to. The evidence is now clearer than ever that the SUDS option would provide better value for money. At last week’s council meeting in Hammersmith and Fulham, the Labour councillor Cllr Andrew Jones, the Cabinet Member for Economic Development, said the Council’s tri-borough arrangement with Kensington and Chelsea and Westminster was “an epic disaster and waste of money”. “The savings from shared services identified in the 2013/14 and 2014/15 Medium Term Financial Strategy (MTFS) were £5.3m and £4.2m respectively. “In 2015/16 the savings directly ascribed to shared services are £2.3m. Even if we take the lower figure of £2.3 million that saving is significant. It is equivalent to five per cent of the Council Tax revenue. Does Cllr Jones claim his own finance team have got their figures wrong? If not, and he still wants to break away from tri-borough, where will he find the £2.3 million? I suspect that Cllr Jones knows he was talking nonsense and that the tri-borough savings will continue. There are plenty of examples that shows that if the state spends more money on something it doesn’t necessarily mean there is a better service and also that it is possible to find savings without cutting the standard of service. The Metropolitan Police are no exception to this and big reductions in budget have been absorbed while the amount of front line policing has been maintained. One way that policing has been enhanced has been through the boost of volunteering. There are more Special Constables. Also there are more Neighbourhood Watch schemes – where the public provide a vast intelligence network on a greater scale that could possible be provided by beat policing. So it does make sense that liaison with Neighbourhood Watch coordinators – whether by police officers or PCSOs – is maintained. 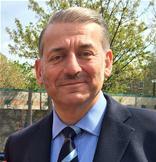 David Millar, Chairman of the Neighbourhood Watch Borough Association, sent out the following note recently to those involved in fighting crime by coordinating Neighbourhood Watches. At a number of recent meetings in Hammersmith & Fulham it has been made clear that there is public concern at the reported outcomes of the current funding review of the Police. The reduction in neighbourhood policing and possible loss of all PCSOs has caused the major concern. A number of lobbying suggestions were made at the meetings. Well, by chance, I found myself sitting next to Sir Bernard Hogan-Howe (Commissioner of the Police in the Metropolis – as it says on his card) on a flight from Edinburgh last Sunday. As I had him captive for an hour I thought I would put it to good use. We had a fair and frank discussion and it is clear that he is facing an unenviable task on where he will find the savings that will be required of him. It seemed to me that he was being shielded from the communities view – bearing in mind that there is no consultation – on what people want from their local police. I took the opportunity to relay the general feelings of H&F residents from recent discussions at the Neighbourhood Watch AGM and Safer Neighbourhood Board. There was a meeting of the Mets Management Board on the 29th September where they were reviewing the options open to them. He was very clear that no decisions will be taken until December. After a wide ranging discussion he agreed that it would be appropriate to meet representatives of all London Boroughs which I can arrange through the organisation that I represent H&F on – the London Communities Policing Partnership. At the end of the day the final decision will be his, but I hope that at least we will have the opportunity for our voice to be heard. There have been repeated assertions that right to buy sales have failed to fund the equivalent number of replacement properties. This case from the opponents of right to buy is flawed for three reasons. Recently I researched which local authorities are on track to provide replacement homes and which ones are failing and thus are leaving central government to take on the challenge. I am pleased to see that Hammersmith and Fulham Council is on track. Yet at a council meeting this week Labour councillors queued up to attack the right to buy – both for housing association tenants and, so far as one could tell, council tenants. For example Cllr Andrew Jones said: “Right to buy will take affordable housing for rent out of supply…the land economics of it are insane.” If he had bothered to check the facts with his own council officers he would know that the right to buy sales were successfully funding replacements on an equivalent level. One would have thought that was an achievement he would wish to trumpet. Not so. His hostility to home ownership is thus exposed as ideological. He wants as many people as possible to be tenants of the state whether they like it or not. His creed is municipal serfdom. Cllrs Lisa Homan, Sharon Holder and Iain Cassidy are queued up to attack aspiration. Cllr Homan is a home owner. Cllr Jones is a home owner. The Labour council leader Cllr Stephen Cowan owns a house worth around £1.5 million. From these residences they compose their speeches filled with bash the rich class war rhetoric and chat at their dinner parties about rising house prices. They think home ownership is good enough for them – but not for the council tenants and housing association tenants they represent. Theses socialist councillors have climbed the ladder themselves and are now keen to kick it away for others. Labour claimed their objection to right to buy was that even with the discounts most tenants could still not afford to buy. A touching concern – given that Labour nationally has attacked the increase in discounts as too generous. But if that concern was genuine they would have proceeded with the “right to buy part” planned by the previous Conservative council. So Labour’s claims to be supporters of home ownership in our borough have been tested – and have proved to be completely false.